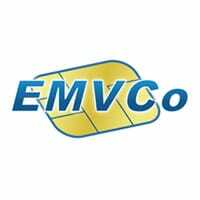 A new tokenization framework being developed by EMVCo for the world’s major payments networks will enable EMV transactions to be made on a mobile phone using the widest possible range of “last inch” technologies— and the first draft of the new specification will be available in just a few weeks, Christina Hulka, chair of the board of managers at EMVCo, has told The Mobile Wallet Report. The move is likely to prove to be the most significant development in the mobile payments market to date and will have a major impact on the debate over which mobile communications technology is most suited to identifying the consumer at the point of sale, on the migration to EMV that is currently taking place in the US and on the major payments networks’ ability to fight back against new market entrants like PayPal. It will be possible to use the technology to make EMV transactions using physical plastic cards as well as mobile phones and for online purchases as well as those conducted in-store — and work on the new framework is being given a high priority by EMVCo, Hulka told The Mobile Wallet Report. “As EMVCo has only just commenced its activity in this area, it will take time to scope the requirements and establish clear deliverables and corresponding timelines,” she explained. • The full interview plus an explanation of tokenization, the philosophy behind the move, the likely timing of availability, and analysis of the implications is available in this week’s issue of The Mobile Wallet Report. Technology agnosticism is the one essential ingredient needed to enable the true explosion in mobile payments across the World.